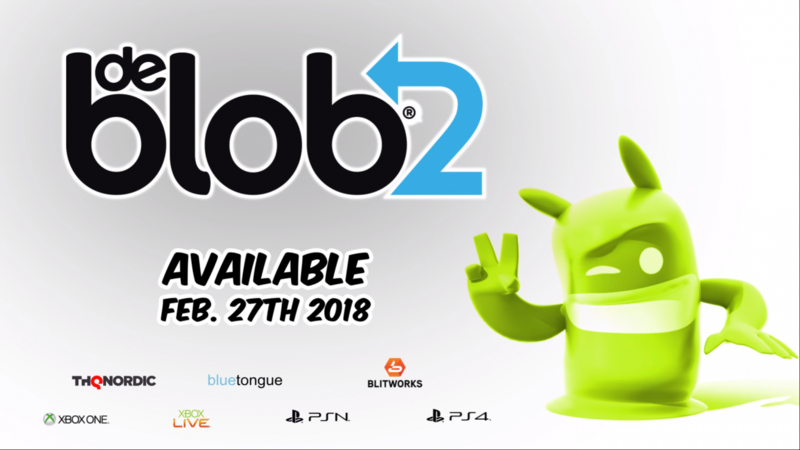 THQ Nordic has revealed that they plan to release de Blob 2 on PS4 and Xbox One on February 27. THQ Nordic has slowly accrued several IP from the couple console generations over the past few years and has been re-releasing some of these titles recently, like Titan Quest and the first deBlob. Last year, THQ Nordic re-released de Blob 2 on PC; today, they revealed that the game has also been ported to PS4 and Xbox One, and will release on February 28. 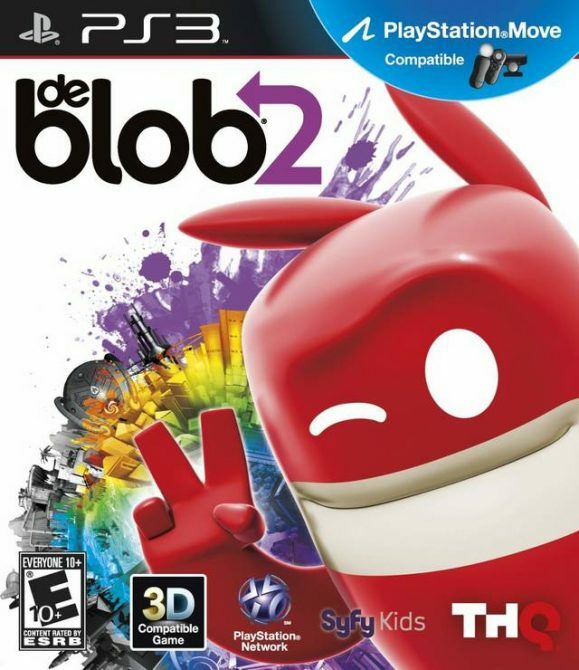 For those of you who don’t know, de Blob 2 was developed by Blue Tongue Entertainment, published by THQ, and released on PS3, Xbox 360, Wii, and Nintendo DS all the way back in February of 2011. After THQ went under, the series’ future looked grim, but these recent remasters by THQ Nordic (which used to be known as Nordic Games) will hopefully re-ignite the series’ popularity. 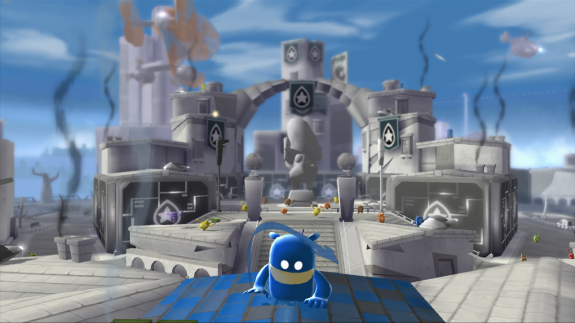 In de Blob 2, a cult has taken over Prisma City and drained it of its color, so the titular blob must platform his away around, restoring color to the world and beating his enemies. The game includes twelve large single player levels, many new power-ups when compared to the first game, and multiplayer support. You can check out the announcement trailer for the console versions of the game below. de Blob 2 is currently available on PC, PS3, Xbox 360, Wii and Nintendo DS, and will add PS4 and Xbox One to that lineup of consoles on February 27, a little over seven years after the game’s initial release. 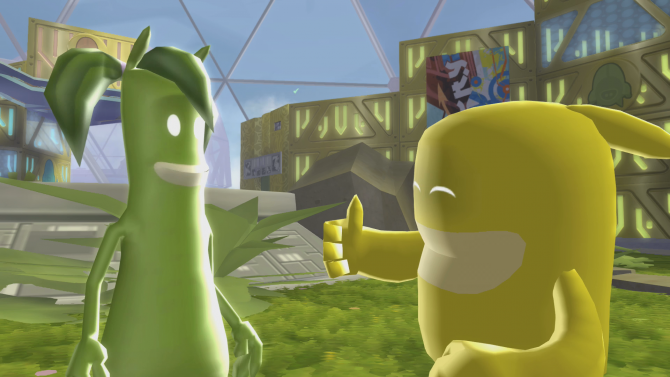 THQ Nordic announced today that de Blob 2 will finally be making its way to Nintendo Switch on August 28.